‘Cass and Ryan Connor have achieved family nirvana. With three kids between them, a cat and a yard, a home they built and feathered, they seem to have the Modern Family dream. Their family, including Cass’ two children from previous relationships, has recently moved to Portland —a new start for their new lives. Cass and Ryan have stable, successful careers, and they are happy. But trouble begins almost imperceptibly. First with small omissions and white lies that happen daily in any marital bedroom. They seem insignificant, but they are quickly followed by a series of denials and feints that mushroom and then cyclone in menace. 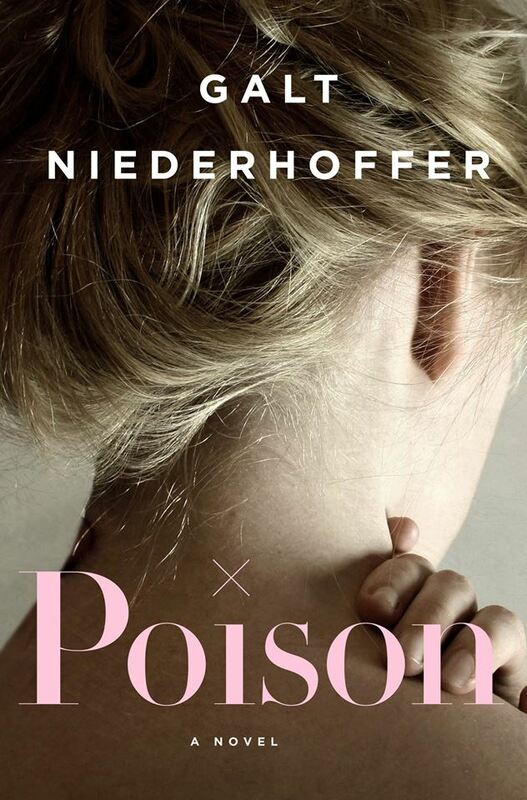 With life-or-death stakes and irreversible consequences, Poison: A Novel is a chilling and irresistible reminder that the closest bond designed to protect and provide for each other and for children can change in a minute. There are things I loved about Poison, but there were things that really bothered me too. I love the fact that you’re never quite sure who is at fault here. Is Ryan trying to kill Cass or is Cass losing her mind? While I thought that Cass and Ryan were well-developed, I thought that only when they were interacting together were they that way. The family, together, works really well as a whole. But, I needed to know more about Ryan’s background, his work life, who he was before Cass. I think Cass was a believable character, and the fact that no one, except for her lawyer, took her seriously fit well with how women who report crimes are viewed. Nora, Cass’s best friend, didn’t play a big enough part in the story. Marley, the nanny, disappeared too quickly, and I didn’t feel like that relationship was explored well enough. Was she Ryan’s mistress or not? And Aaron was too convenient. Right away, you can tell that he’s involved somehow. I didn’t get how Cass’s mom wasn’t on her side either. If my daughter thought her husband was poisoning her, I’d be there in a minute! And her dad is a jerk. Did I miss something concerning her childhood? The fact that she’s such a great mom is a shock considering her parents. I wish that there were more details in some places (like where I’ve mentioned) and less in others. The ending was way too rushed, but all in all I enjoyed the book. It could have had a great ending and the same amount of pages had some of the unimportant facts been left out. I give it a 3 1/2.